4th Convocation of Desh Bhagat University was held as a landmark day. 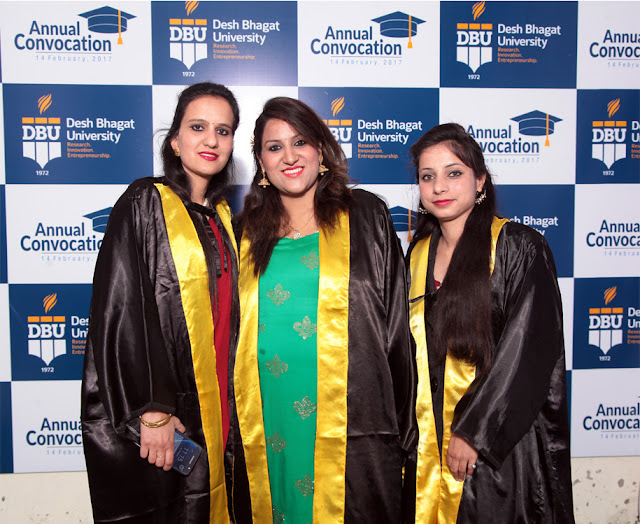 About 600 pass outs including PhD’s and M. Phil’s of the university and the Desh Bhagat United belonging to different streams participated in the convocation and received their degrees and medals. Honourable Governor of Punjab Sh. V. P. Singh Badnore was the Chief Guest on the occasion. In his address, he said that future belongs to those who believe in dreams, Go and fulfill their dreams and shine on the country and the world canvas. He also urged the youth to keep away from all kinds of drugs as well as social evils and contribute to the development of the nation. Earlier Honorable Governor formally inagurated the Desh Bhagt Dental College and Hospital that has recently shifted to Mandi Gobindgarh from Sri Mukatsar Sahib. 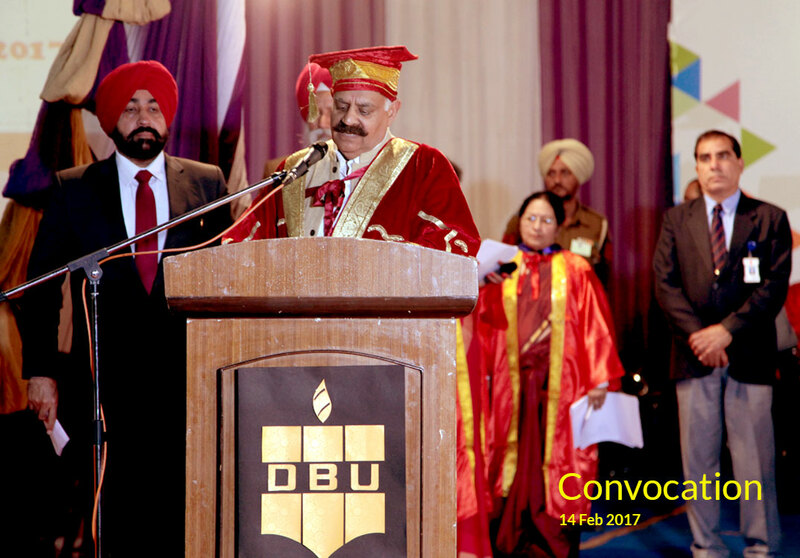 While addressing the graduates and the mammoth gathering present on the occasion, University Chancellor Dr. Zora Singh exhorted the students to have high values, work hard and adopt positive attitude to fulfill their own dreams as well as the dreams of their parents. Pro Chancellor of the University Dr. Tajinder Kaur welcomed Chief Guest, Guests of Honour as well as all other guests. 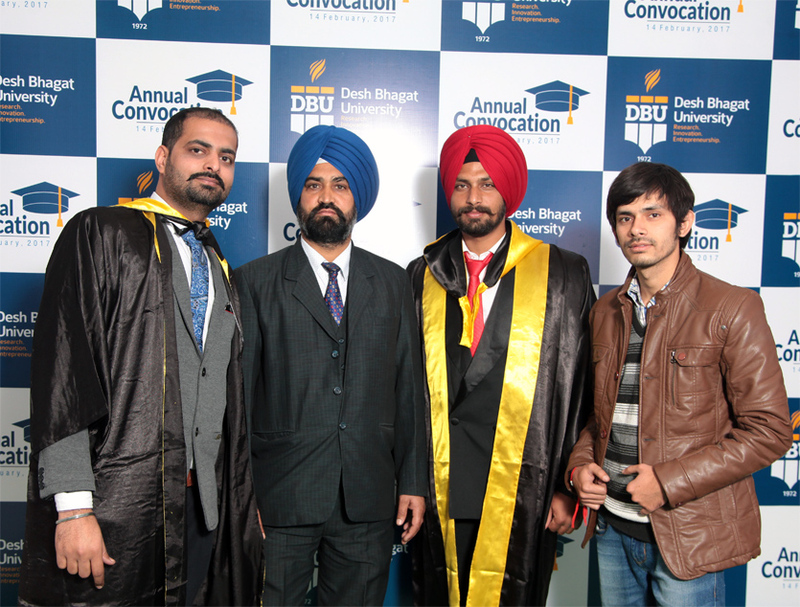 On this occasion, Desh Bhagat University conferred Ph.D / D. Lit (Honoris Causa) degree on Sh. H. D. Deve Gowda (Former Prime Minister of India), Kumari Nivedita Raghunath Bhide (Vice-President, Vivekananda Kendra, Kanyakumari), Mr. Sandeep Singh (Former Captain, Indian Hockey Team) and Manishi Sant Muni Shri Vinay Kumar ji ‘Alok’. 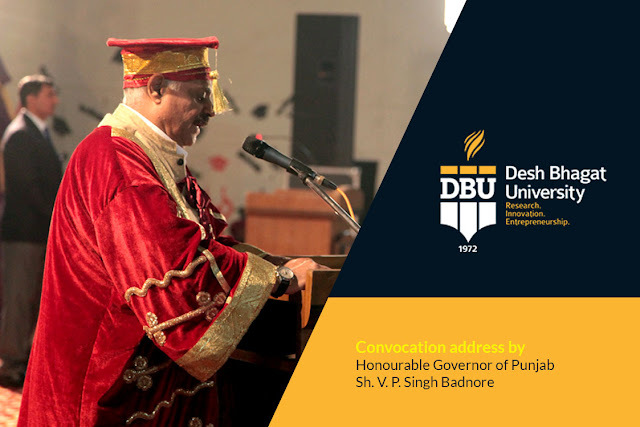 All the recipients of honorary degrees thanked the University for recognizing their contribution to the society and honouring them for the same. 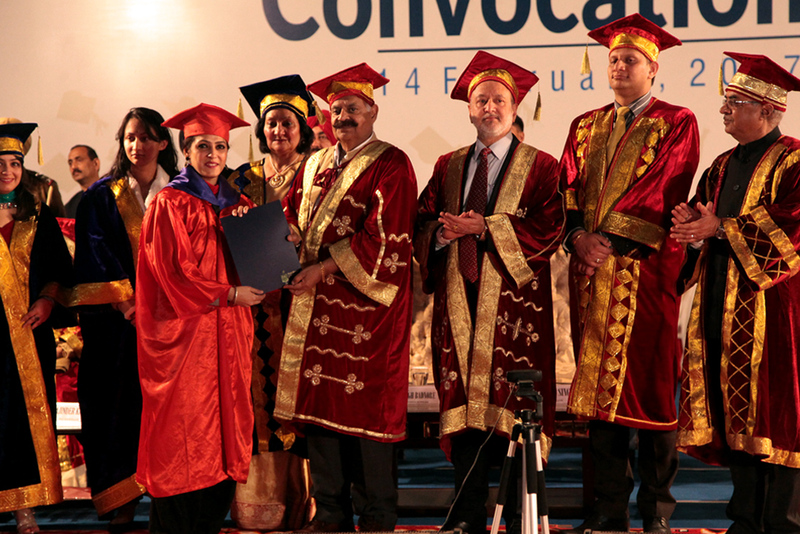 The MD's and CEO's of different companies who are associated with the universirty were also honoured. 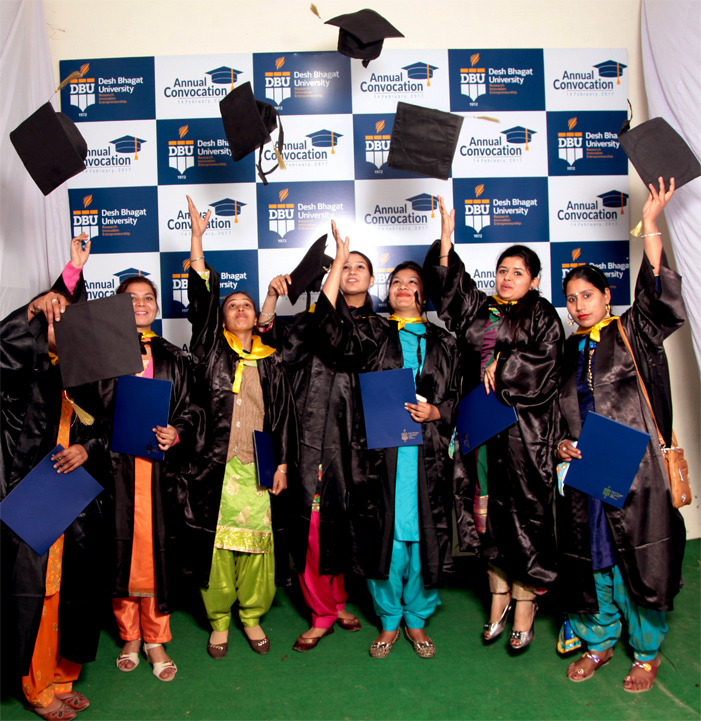 The appointment letters were handed over by the chief guest to the students who have been selected for Equity Score. These students will recieve monthly compensastion of $ 250 for 12 months. While thanking all present, university provost Dr. Neelima Jerath and Vice- President Desh Bhagat United, Er. 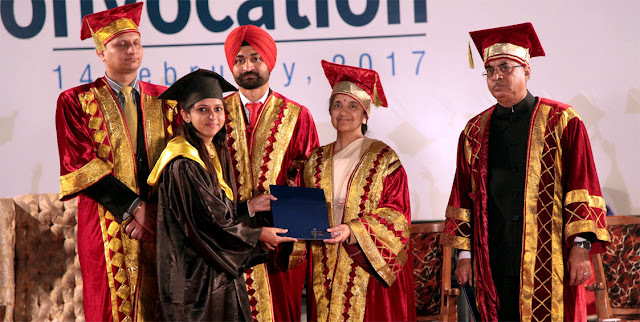 Sandeep Singh observed that this convocation will be marked in the annals of the university as a golden day and the university feels proud by honouring these personalities. 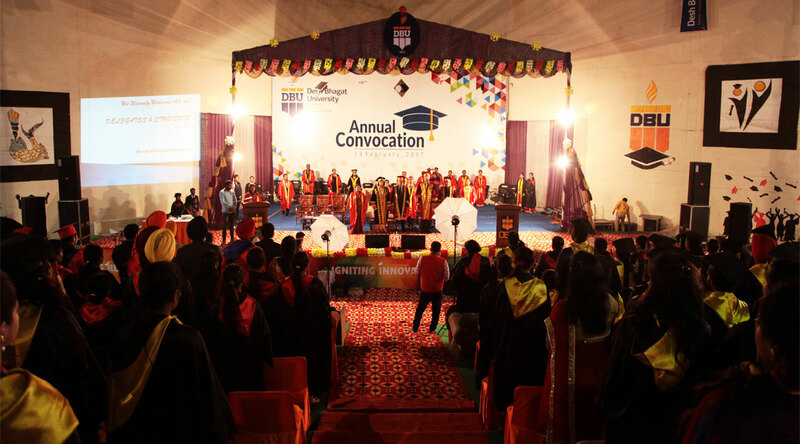 The Convocation concluded successfully leaving behind everlasting memories.